I need not say much more than this was my fifth January running holiday – with each one perhaps better than the last. As ever, the accommodation, food, and especially coaching were outstanding. The coaches go above and beyond in everything they do, but their support and assistance when I had to fly home at short notice, midway through the holiday, demonstrates further the level of professional service they offer. See you next year! 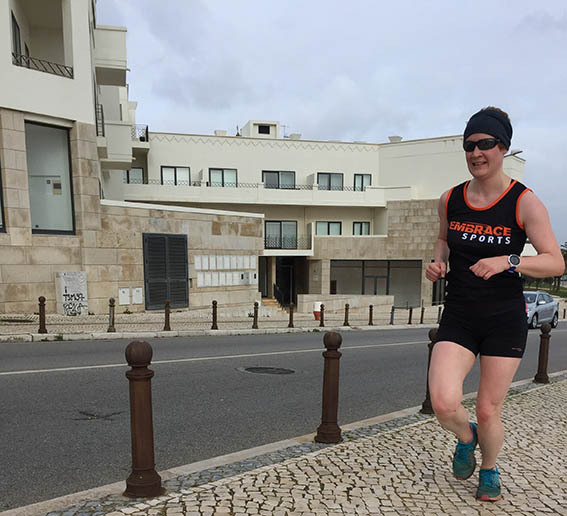 This was my second running holiday with Embrace, but my first in Portugal and it was fantastic. 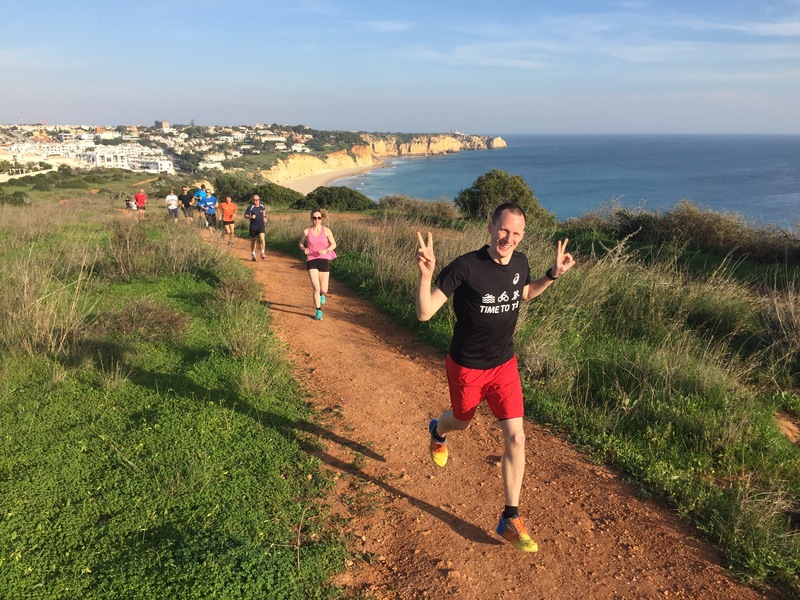 The variety of the sessions and routes were great – beautiful trails, challenging hills, track intervals, barefoot on the breach and lovely scenery, all with great coaches and likeminded individuals. I’m sure I’ll be back! I came to embrace training holidays as a relatively beginner runner and had no problems adapting to the training. Within a space of 1 week I managed to improve my technique and speed and learnt new training routines. Plus the coaches make a great curry! Another great week at my home away from home. I couldn’t get htrough January now without knowing I had an Embrace week to look forward to! Leave your egos and pretentiousness at home if you intend to join these guys for a holiday as you will be sorely out of place. Just by the tone of the website you know these are people that love what they do and want you to enjoy your time with them as much as they seem to enjoy our company. Despite not being a regular runner, more a cyclist who runs, it certainly felt like a holiday with a bit of running involved and when you find out that almost half of your fellow holiday makers are back for a another trip you know it can’t be so bad even if it looks a bit daunting up on the blackboard. All the actives are indeed optional yet I never felt that there was anything I couldn’t achieve; Al, G and Neal seemed to know exactly how to challenge each of us, setting goals that pushed us but were achievable. Already talking about returning next year for more early season sun and see if the other hills are better/worse than the ones we tackled. My second Embrace holiday but the first in Portugal. I came for some warm(er) weather training ahead of a March marathon and the trip was everything I was hoping for. Accommodation excellent, a great mix of sessions (tempo intervals, track, hills, trails, …even barefoot on the beach), superb food, and the company of like-minded runners. The coaches do a great job of catering to all abilities, and there’s plenty of down time. All-in-all a great week. Another great run camp by Embrace Sports! Lots of challenging training, great food, excellent company and even some sunshine! Amazing week – A really enjoyable and relaxed way to train with some great people. Plus clearly effective as I have already achieved 2 new PBs in the month since coming back. Definitely a new fixture to my winter training schedule! Back for my 7th week in Portugal with Embrace, which should tell you how good these holidays are. Great training, great food and great people. See you next year for number 8! Never been on a running holiday before and wasn’t sure what to expect. However it was a top holiday and was a great way to start the year. Top people. No egos. No pressure. & The food was outstanding !! 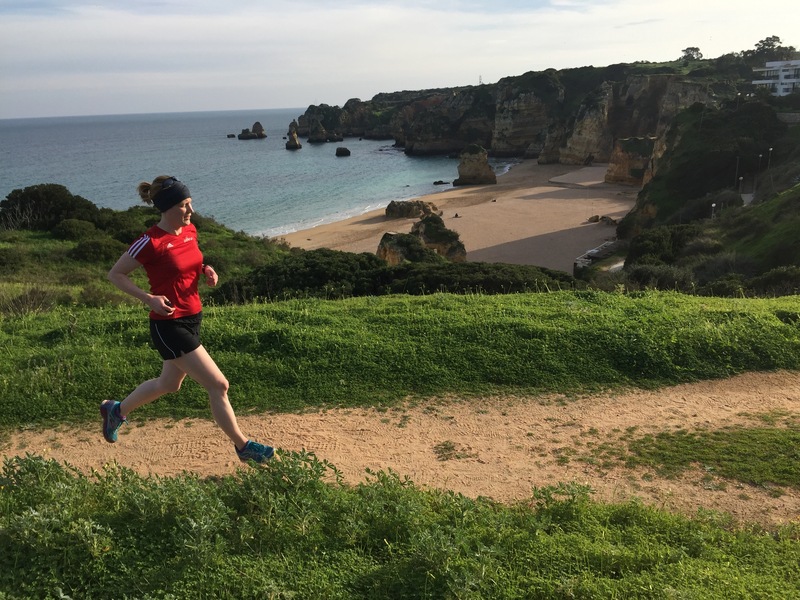 The January running holiday has become a fixture in my calendar – so much so that even with an injury which meant I couldn’t run, there was no way I was missing my Embrace fix! While sad to have missed out on the beautiful runs and challenging sessions, I had plenty of time for cross-training and made my road bike debut with a hill session. This was only possible due to the flexibility, enthusiasm and encouragement of the coaches. I’m still deciding whether I preferred risotto night or curry night, but needless to say the food was of as high a standard as always. Looking forward to Embrace trip number 7! Unfortunately, I wasn’t able to run due to an injury that hadn’t healed in time for the holiday – and I still had a great time, still learnt a lot about effective training and nutrition and still came home fired up with enthusiasm for my running. This proves that not only are the Embrace Sports Team excellent coaches, they are also excellent hosts. As usual the group of runners that I met (some old, some new) were inspirational and supportive throughout and helped to alleviate the frustration I felt at not being able to join in on the running activities. The apartment complex, the food and the weather were all perfect and so all in all I had a great holiday. I had a brilliant time on this holiday! The sessions, coaching and food were great, and whilst the training pushed me I didn’t ever feel it was too much and wanted to keep doing more! I was pretty nervous coming here as I’m quite a shy person, and thought it would be terrible when I heard that most people had been before. However, I was warmly welcomed by the coaches and (perhaps more importantly) the other guests! Hopefully will be back again for another great week of running! 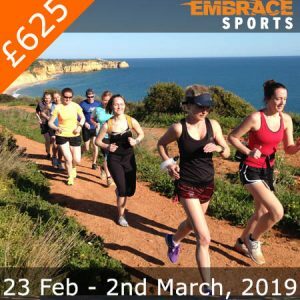 My fourth January Embrace running holiday to Portugal, and hopefully not my last. The incredible food, infectious enthusiasm of all, and beautiful scenery combined to produce a brilliant training week and most enjoyable holiday!Even with an injury I achieved far more than I thought possible! Great people. Great coaching team. Great food. Great accommodation. Great facilities. Great running experience. Great tips. Absolutely exceptional and I will be returning next year. 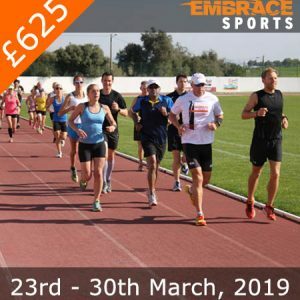 I can only recommend an Embrace Sports training holiday so highly and urge anyone deciding whether to sign up or not to get involved!It’s a perfect balance of training hard and relaxing. This was my fifth Embrace holiday and I’ve booked my sixth already. I cannot recommend highly enough, do it! 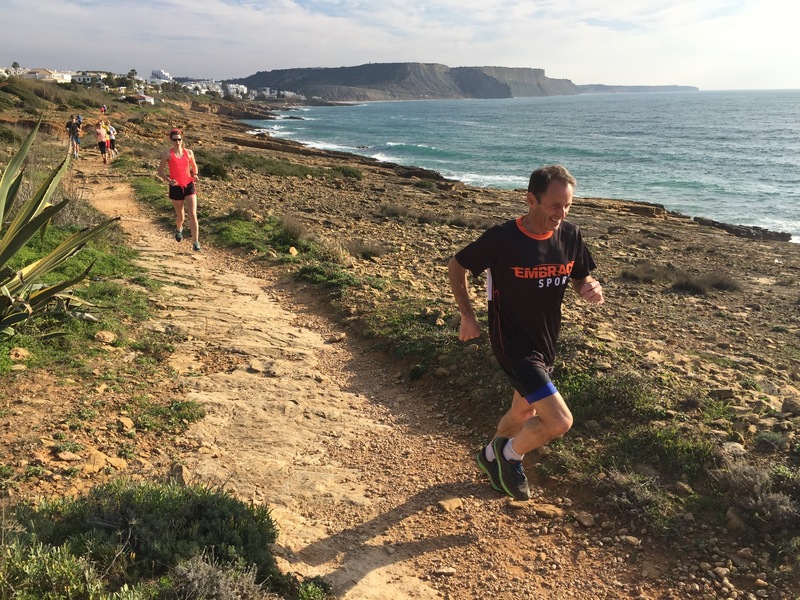 The holiday is well structured for runners of different levels with stunning running routes, individual coaching and learning sessions. Being a beginner, I enjoyed all runs and sessions and will be definitely back next year. The holidays is strongly recommended to everyone who loves running or would like to fall in love with running! This was my fourth Embrace camp (other three were all tri camps) and it was a huge revelation: confidence-boosting, technically educative, physically challenging in all the right ways and a great pleasure to be among fellow runners. Will be back for more! This was my third Embrace holiday, and certainly won’t be my last. Everything from the food, accommodation, location, transfers, and especially the coaching was outstanding. I achieved more than I thought possible in a week of running, while also having a relaxing and enjoyable holiday. This was the first running holiday I’ve done but certainly won’t be the last! Have a week living like a athlete has made such a difference to my running knocked 11seconds off my 5km PB! Looking at booking my next embrace holiday as I’m writing this! As a first time wannabe marathon runner, I was a little nervous about signing up to something like this but was overwhelmed by how supportive both the staff and fellow runners were. The coaches were excellent, very knowledgeable and able to cater for all different levels of experience and ambition. The surroundings were great, with some really scenic runs and the accommodation and facilities on hand were perfect for a week of intensive training! Having thought this was a one-off when I signed up, I can say that I’ll definitely be considering it again in the future. All the guys at Embrace are really passionate about what they do and are so friendly, knowledgeable, and approachable. I’ve really enjoyed my marathon training week and came away confident about my race and so much stronger. 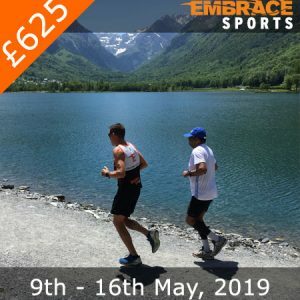 Really recommend these relaxed yet challenging training holidays – very well organised and great value, but more importantly really enjoyable and good fun. 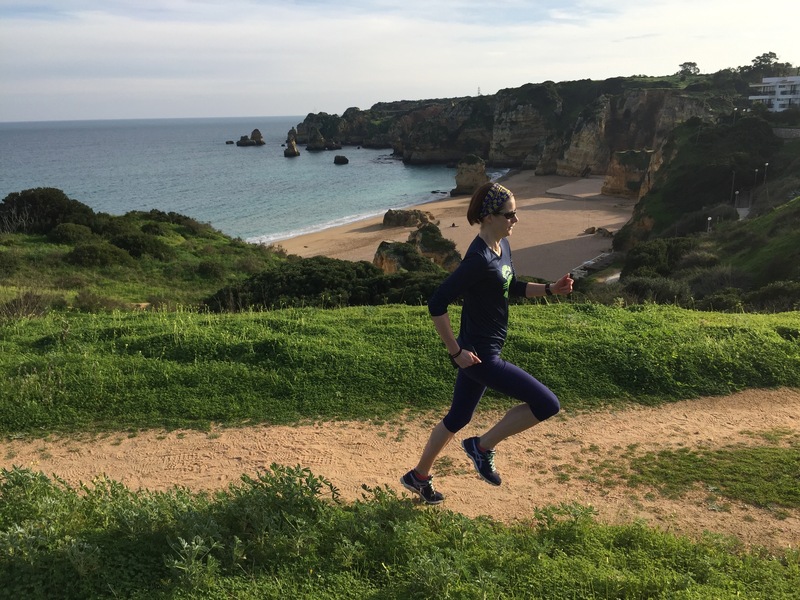 My husband and I booked ourselves onto the running holiday mainly because i’ve entered the Paris marathon this year and I really liked the idea of getting some professional coaching and focus on my running ready for the event. My husband is a seasoned marathon runner and cyclist, so he was happy to come with me! 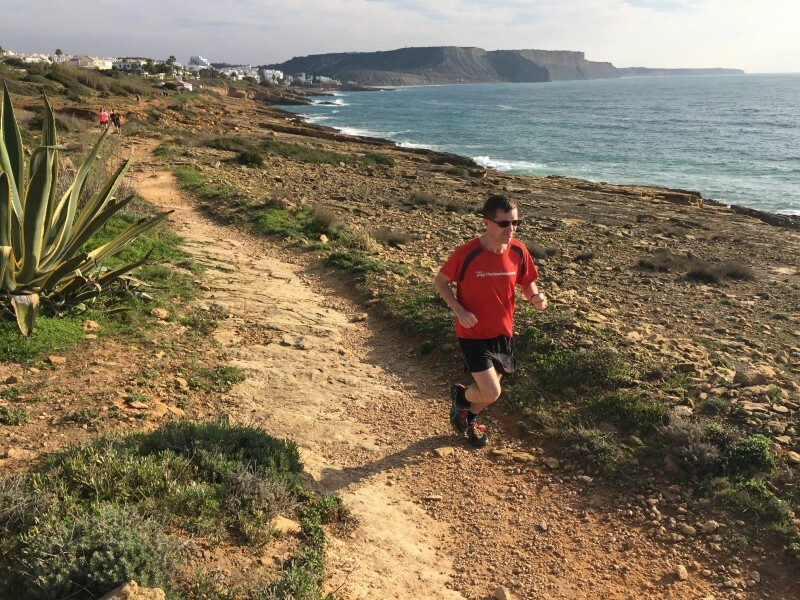 The thought of running once or twice every day made me nervous, as i’ve only just started running and building my mileage up, but I was encouraged by the FAQs and previous reviews, which are all completely true. Each day we ran in some beautiful locations, and had time to soak up the sea air before and after the runs. The training isn’t easy, but the coaches know what they are doing and I felt they pushed me just enough to make me more confident with what I might be able to achieve, and I never felt any pressure to do a run, pace or distance I wasn’t comfortable with. Also, you won’t go hungry! There is a great choice of food at all times of the day and the coaches do a great job of catering for everyone at the evening meals! The holiday definitely isn’t a health retreat – alcohol and treats are available and I can highly recommend the scones if you are lucky enough to get your hands on one! I can’t recommend this holiday enough. Before this holiday I was certain that I would be running the Paris marathon then getting back to my usual non-running routine. However everyone I met at Lagos has inspired me and I’m going to make sure I keep running and go back to Embrace soon. Loved this week (my sixth Embrace holiday), meeting new people, old friends, noticing plenty of improvement from previous years, testing myself against the many challenges – the hills, the beaches, the roads… This group really gelled and everyone seemed to appreciate how special these holidays are: magical and memorable. I had never considered putting the words running and holiday in the same sentence before, but Embrace came highly recommended by another runner from my running club. January is such a depressing month to try to get out running, so I thought it would be a boost for my marathon training to go somewhere warm. The variety of training sessions, the encouragement of the very knowledgable coaches, the beautiful scenery, the exceptional catering and the laid-back and friendly atmosphere made for a superbly fun time, as well as making me raise my game. My running came on leaps and bounds during the week and has given me a solid base from which to build and aim faster for my spring marathon. Had such an amazing time!! This is my second embrace running holiday and already looking to book my next. The embrace team really look after you from airport pick ups to training to food, so much lovely food!!! Great for all types and abilities of runners. Cannot recommend these guys enough. Had the best time on this holiday. It was great to talk running all week without people getting that glazed-over look in their eyes! Perfect balance of taining, nutrition and rest (as I call it, the holy trinity!). Invaluable advice and support. I left feeling it would be ok for me to contact the guys any time I have a training query, and I’ve got new friends to meet up with next year aswell. Unless we all get to the Bungay Black Dog marathon before then!!! 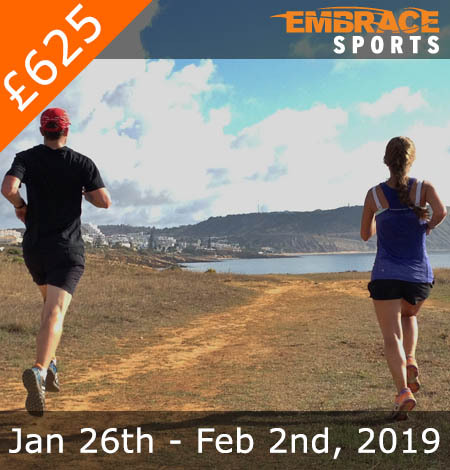 Great way to banish winter running blues and get some decent mileage under your belt across a variety of terrains and distances. Epic food and great company makes it feel like a holiday too. I once again really loved my holiday with Embrace. As a faster runner I benefit a lot from the structured training and healthy lifestyle offered (although it is very much open to all abilities). The guys were able to cater for me (vegan) with no problems, and I feel fast and strong after a great week’s training!